How is your April shaping up so far? Spring is in full bloom here and this year the lawns are actually a delightful green rather than the sad browning yellow of last year due to a wet winter this year. Rain has become something of a sacred happening around these parts no matter the disruptions or mess (like mud-heavy paws leaving their imprint on floors, furniture and people alike). March was a busy birthday month...some are even stacked up on the same day. I especially enjoy making cards for my uncle, his wife and children because they express joy in receiving them. Today's card I made for this same uncle. I had bought a slew of Tim Holtz's new stamps earlier because they are so wonderful for masculine cards (I was thrilled with the train stamp set especially...thank you so much, Mr. Holtz!). 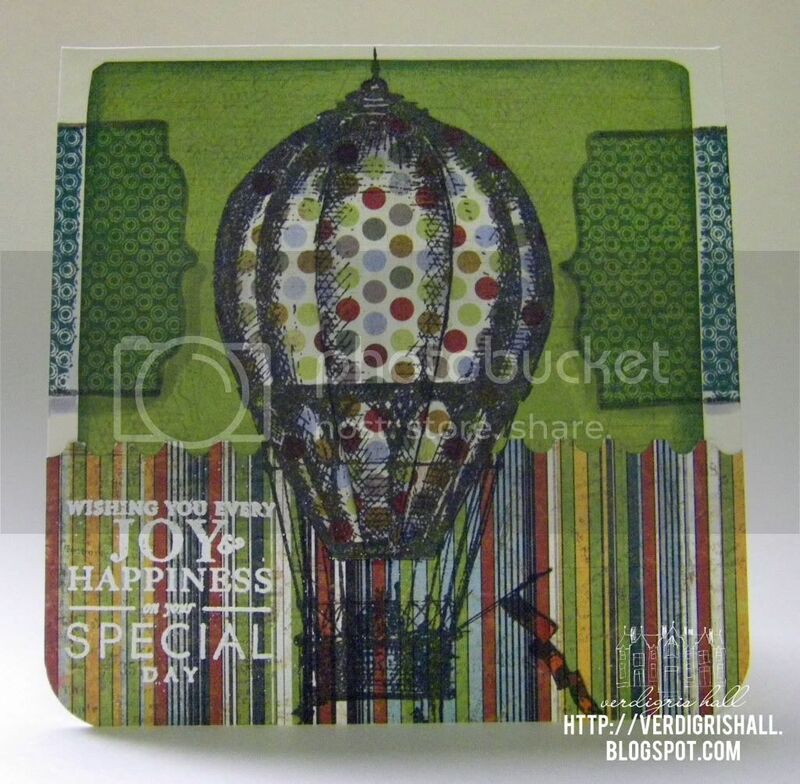 The hot air balloon and map are from Tim Holtz. 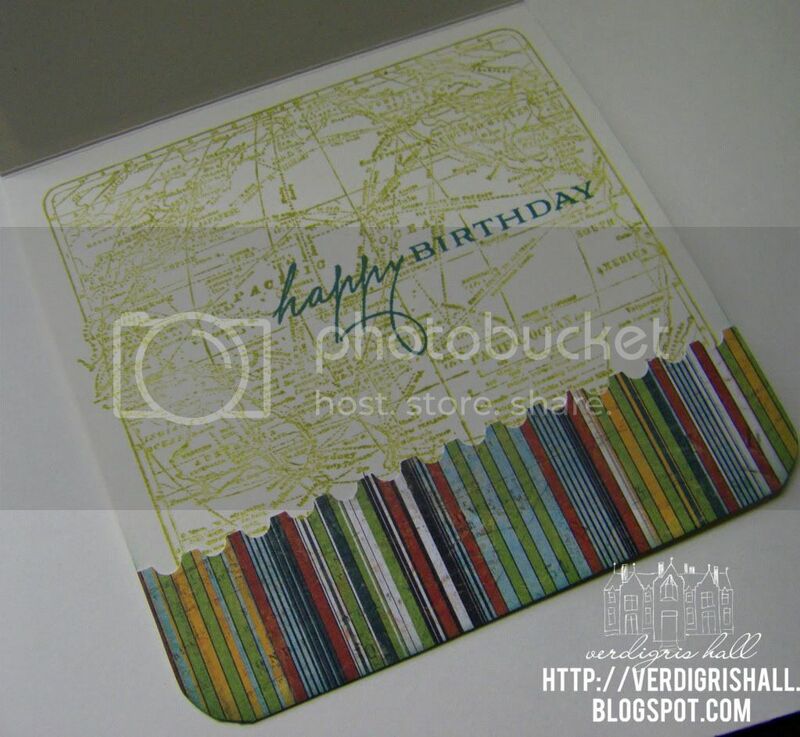 I paired these stamps with some from Papertrey Ink in particular a favorite set of mine--Half & Half. 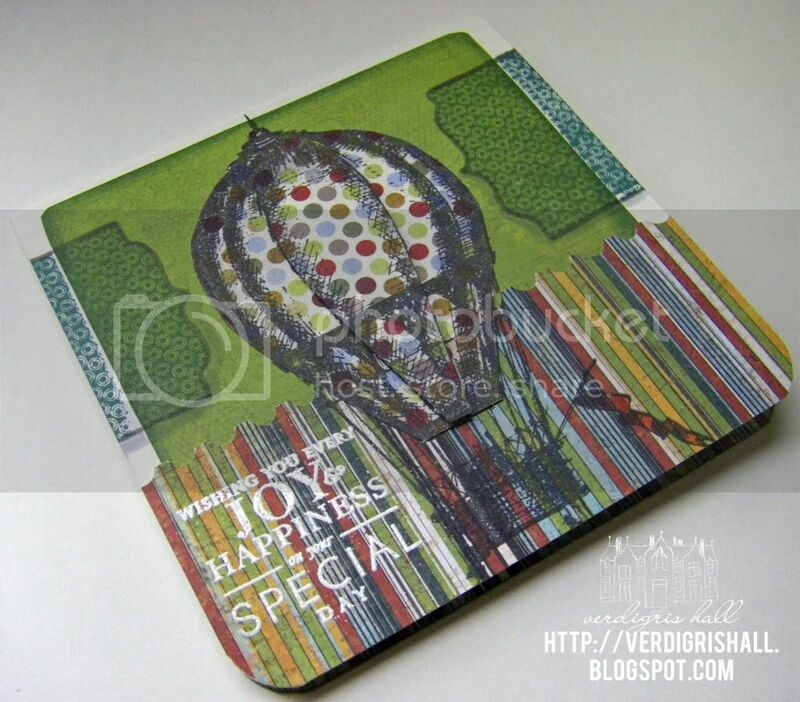 The patterned paper is all from Basic Grey. I have been really loving my 6x6 paper pads and these Basic Grey paper pads from the Oxford and Wander collections are no exception and they actually work well with each other. Here is a little dimensional shot. I decided to pop up just the top panel of the hot air balloon to give it extra interest. I hope you have an uplifting day! Thanks for sharing your card! I love the dimensional polka dot balloon! I bet your uncle really liked this card! Who wouldn't want to go up up and away!